If the entire of 2018 goes past as quickly as the last three days, it'll pass in a blink. What a blur!!! First, HAPPY NEW YEAR TO YOU! It's going to be a great year. I can just feel it. Can you feel it? It'll be grand. Now, on to today's project, which is actually two projects using the same chipboard 4x6 Shadowbox as the base. 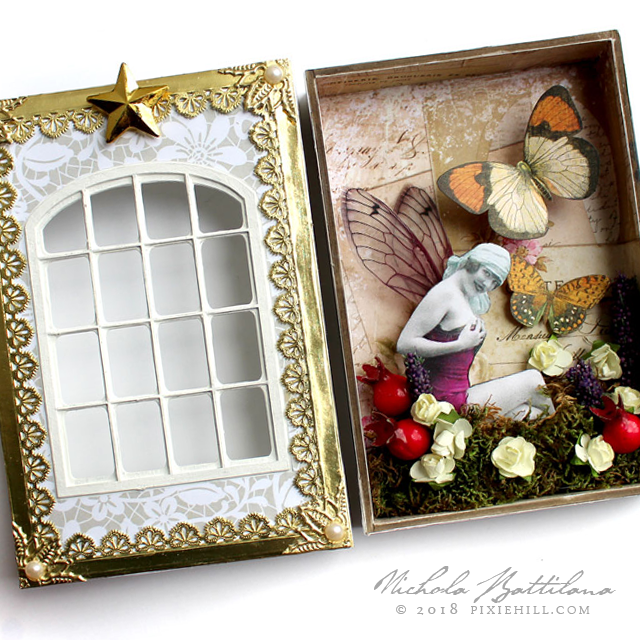 The first box is a garden fairy theme... because that's what my supplies demand I create. 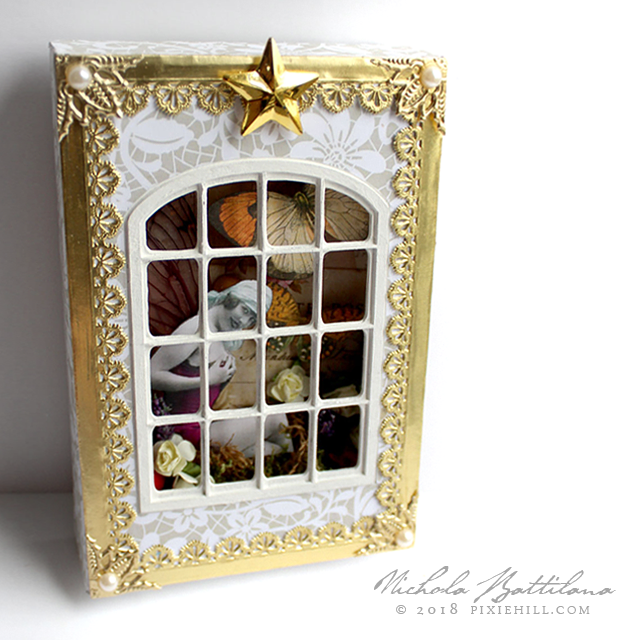 I've used the Shadowbox Lid - Double Pane Window for this piece. You can just peek beyond the pane to see the winged fairy and butterflies inside. I really prefer these two piece lidded boxes btw. They are soooo much easier to work with than a hinged top boxes. I've added a bed of Sheet Moss and loads of Tiny Paper Roses to the interior. I think this would actually make for a nice alternative for a birthday card. 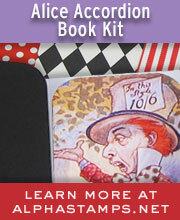 You could tuck a little message inside, a salutation for magical birthday wishes. Although different thematically, the exterior of both boxes is bordered with Gold Dresden. Let's face it... that stuff is just magic. I'm not one for resolutions but I think I need more lushness and opulence in my life and I'm sure upping my gold dresden usage would make my world prettier. Speaking of lushness and more. I've replaced this angels wings with something a little more substantial from the Angel Wings Collage Sheet. I'll admit it, sometimes size does matter. 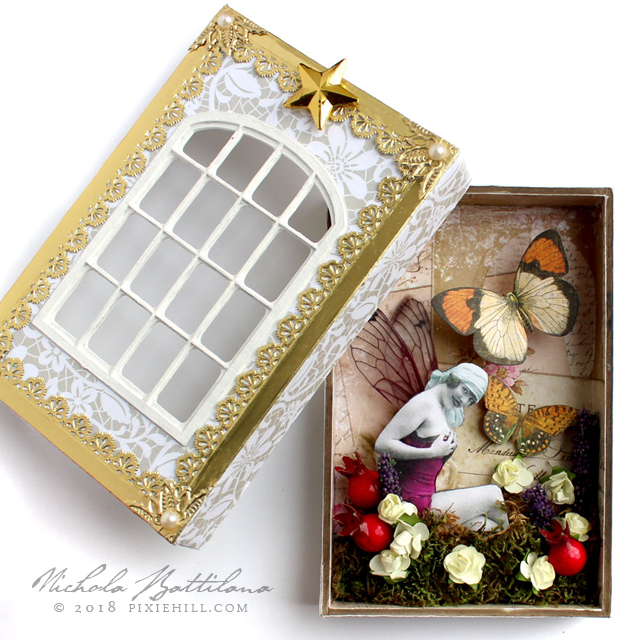 A bit of cotton batting tucked into the bottom of the box, a glittery night sky, and you have a dreamy romantic shadowbox. These are utterly fantastic and amazing! Love the angel especially!! love these - and I love both of the lid designs! the second one is right up my alley! No time off for the New Year? You're like the Duracell bunny! It WILL be a GRAND year Nichola! Just you watch. . . the magic in your world will grow 10 fold and your face will HURT from smiling and laughing so much!!!! :) Now, that is not a spell I just cast, nooooo, that. . .is a promise! Beautiful work as always. . .